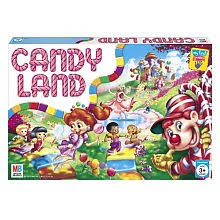 You can stop by Toys R Us and get cootie, Hi Ho Cheerio, Chutes & Ladders and/or Candy Land for only $2.99 after mail in rebate! They are priced at only $4.99 right now – but submit this $2.00 rebate form for each game and you’ll end up paying only $2.99 each! The rebate form can be found in the stores.